Some impressive new shutters for this lovely living room interior installed by Tom in Dartford, Kent. 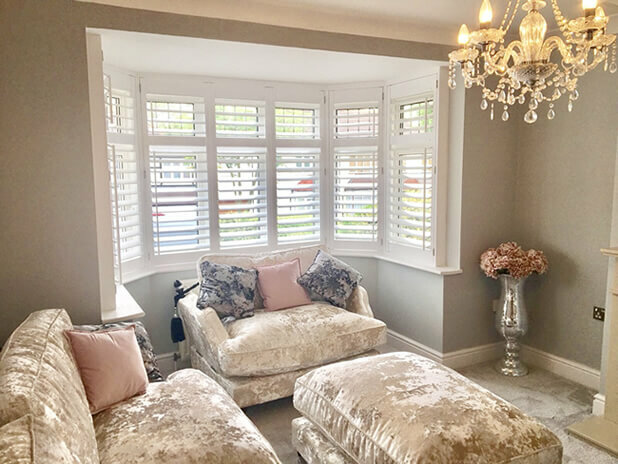 These shutters create a luxurious look to the windows adding to an already luxurious room, the client Rachel was keen to have the best window dressing available and she picked us to design and install! 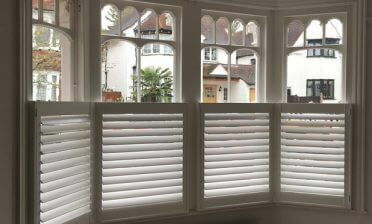 We designed the shutters in full height with a mid-rail one third of the way down the shutters to match the window lining behind. Not only do these add some support to the shutters but allowing for separate adjustment of the top and bottom parts of the panels. Matching the mid-rail to the windows conveys a custom made design from inside and outside of the property. 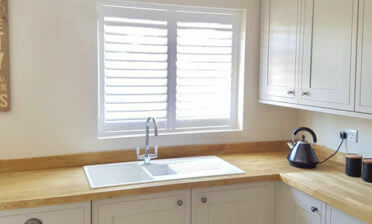 The shutters were mounted using a 4 sided deep plain L frame and made from our Antigua range. 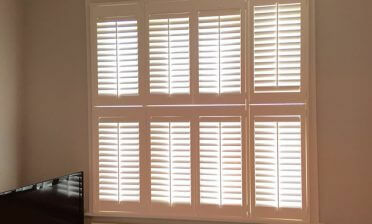 They feature tilt rods placed to the side which creates a mixture of tradition yet still a modern feel to the new shutters. We finished them in pure white with stainless steel hinges. Rachel was very happy with the end result and I think you will agree they look stunning with her current décor!